The following is a snapshot of CILS’ past and recent work. Protection of Burial Remains: White et.al v. University of California et. al and Kumeyaay Cultural Repatriation Committee (KCRC), 765 F.3d 1010 (9th Cir. 2014). KCRC is a tribal consortium of the 11 Kumeyaay tribes in San Diego County that is dedicated to the repatriation of human remains, artifacts, and funerary objects. CILS successfully represented KCRC in litigation for repatriation of two human remains excavated from Kumeyaay aboriginal lands over four decades ago. The remains were properly and culturally reinterned by the Kumeyaay Nations. 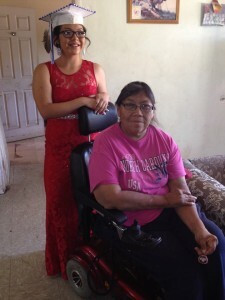 Freedom of Expression: CILS, on behalf of Leticia Gonzales, a graduating high school student, and her mother Carrie Jones, successfully negotiated a dispute with Bishop Union High School involving Leticia’s right to wear traditional beading adorned on her cap and a beaded eagle feathers at her June 5th, 2015 graduation ceremony. Having initially denied Leticia’s request, the Superintendent and Principal of the high school agreed to reconsider their denial after CILS brought to their attention concerns from Leticia, her family, and the Bishop Paiute Tribe. Through a series of meeting and negotiation, CILS was able to get the school to reverse their earlier denial. Leticia, as well as, other graduating Native American students, proudly wore their traditional regalia at graduation. Also proud was Leticia’s grandmother, a Bishop Paiute tribal elder, who had done the beading on her granddaughter’s graduation cap in Bishop High’s colors to honor her granddaughter, her oldest grandchild and the first in their family to receive a diploma from Bishop Union High School. School Discrimination: After repeated complaints from Native American parents and students of being subjected to verbal and physical harassment and excessive discipline practices by the Loleta Union School District in Humboldt County and the Fall River Joint Unified School District in Shasta County, CILS filed race discrimination complaints cases with the federal Office of Civil Rights (OSR). The students were members of the local tribes in the school district, which includes the Bear River Band of Rohinerville Rancheria, the Wiyot Tribe, and the Pit River Tribe. CILS worked closely with American Civil Liberties Union (ACLU)of Northern California and the National Youth Law Center. 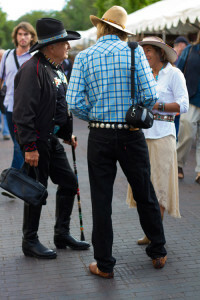 Both cases were featured in local media and Indian Country Times. The Loleta School District case resulted in findings by the OCR against the school, and a Voluntary Resolution Agreement was entered into to address the findings. The Fall River Joint School District investigation is still pending at this time. AB 233 amended the California Educational Code to allow students to wear cultural, religious and traditional regalia at their high school graduations. CILS drafted the bill and successfully ushered it through both the Assembly and Senate only to have Governor Brown veto it in 2017. Building on the work of CILS, Assemblymember Todd Gloria reintroduced the bill, AB 1248, and was successful in having Governor Brown sign the bill into law on September 28, 2018. Brackeen et al. v. Zinke et al. (2018)—In October of 2018, a federal district court in Texas found the ICWA was unconstitutional. The federal government and four (4) intervening tribes immediately filed an appeal with the 5thCircuit Court of Appeals seeking to reverse the lower court. NARF’s Supreme Court Project organized a Working Group of Indian lawyers to organize amicus briefs to support the federal government’s/tribes’ appeal. A national effort was launched to have as many tribes and tribal organizations as possible sign on to the amicus brief being prepared by NARF and NCIA. CILS began issuing Tribal Alerts to all the California Tribes to educate them on the Bracken decision and encouraging them to sign on to the NARF and NCIA brief. CILS staff sent personal emails, made telephone calls and at every tribal function stressed the importance of signing on to the amicus brief. With the hard work of CILS and other California ICWA advocate organizations, 77 California tribes signed on to the NARF and NCIA brief. The appeal is pending at this time. Click here to view our current Statement of Priorities.